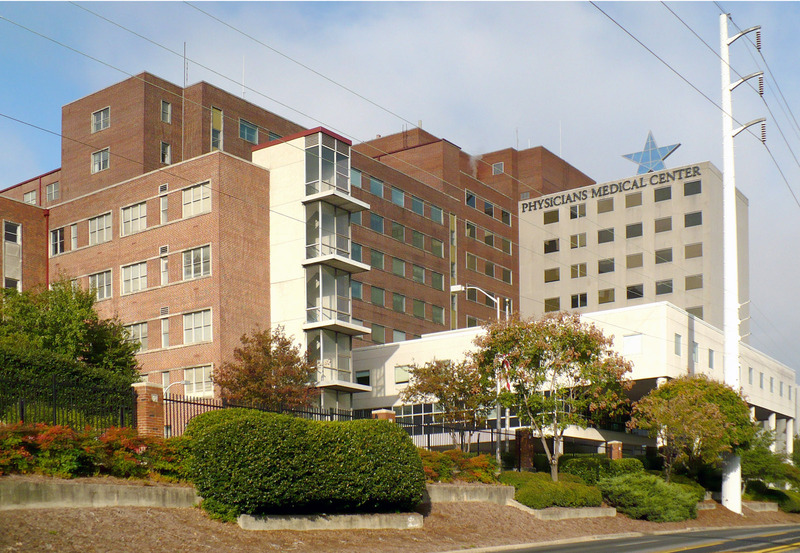 PR&A was retained to provide a property condition assessment of the Physicians Medical Center (fka Carraway Methodist Medical Center) located in Birmingham, Alabama. The site was first developed in 1926 and numerous building additions were completed up until 1996. The hospital is comprised of 7 buildings and contains 617 licensed beds, 19 operating rooms, catheterization rooms, emergency and trauma rooms, and several types of intensive care units. The overall site contains approximately 27 acres and there are four separate parking deck structures at the property. In addition to the 7 hospital buildings, there are 9 medical office buildings (one includes a 29-room hotel), 2 central plant/support buildings, two helipads with an associated support building, a freestanding daycare building, construction/annex building, and a 10-unit apartment building.